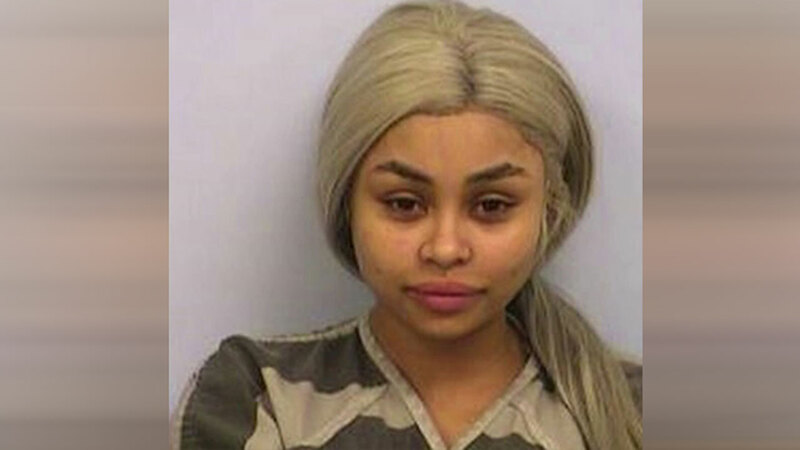 AUSTIN, TX (KTRK) -- Internet sensation Blac Chyna is best known for her Instagram photos. This is one pic she probably doesn't want everyone to like and share. Chyna, whose real name is Angela White, was arrested yesterday at Austin-Bergstrom International airport in Texas. Police say the 27-year-old insta-celeb caused a disturbance on a flight. They didn't offer any specifics, but police do say she was charged with public intoxication and possession of a controlled substance. Blac Chyna is linked to the Kardashian Klan by her reported romance with Rob Kardashian. The father of her child, hip-hop artist Tyga, is said to be dating Kylie Jenner.